All Apostille birth certificates supplied are full long version certified copies for England and Wales, Scotland and Northern Ireland and include parents names and includes an apostille stamp. All replacement birth certificates we supply are fully certified copies which are suitable for all official purposes. 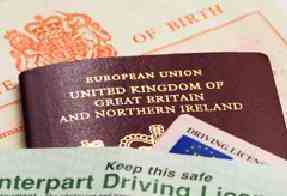 Some reasons for obtaining a certificate include an application for marriage, applying for an academic course, applying for a passport or a driver's license. One of the most common reasons is that the original certificate was lost or mislaid.